The Department of English Poetry and Prose Series welcomes poets Michael Collier and Martha Rhodes to Sanborn House for a reading of their work (Q & A to follow). Poet laureate of Maryland from 2001-2004, MICHAEL COLLIER is also the director of the Bread Loaf Writers’ Conference, and teaches in the creative writing program at the University of Maryland. His books of poetry include The Clasp and Other Poems (1986), The Folded Heart (1989), The Neighbor (1995), The Ledge (2000), which was a finalist for the National Book Critics Circle Award, and Dark Wild Realm (2006). As an editor and director of the Bread Loaf Writers’ Conference since 1995, Collier has been an influential member of the writing and teaching community, saying in a Blackbird interview about teaching poetry, “I think poetry does have this ability to help us deal with things that aren’t black and white and make our thinking more subtle.” Michael Collier has received numerous awards for his poetry, including fellowships from the Guggenheim Foundation and the National Endowment for the Arts, the Alice Fay di Castagnola Award, an Academy Award in Literature, a Pushcart Prize, the Thomas Watson Fellowship, and a “Discovery”/The Nation award. He lives in Maryland. MARTHA RHODES is the author of five collections of poetry: At the Gate (1995), Perfect Disappearance (2000, Green Rose Prize), Mother Quiet (2004), The Beds (2012) and The Thin Wall (2017). Her poems have been published widely in such journals as Agni, Columbia, Fence, New England Review, Pleiades, Ploughshares, Prairie Schooner, TriQuarterly, and the Virginia Quarterly Review. She currently teaches at Sarah Lawrence College and the MFA Program for Writers at Warren Wilson College. She has been a visiting or guest poet at many colleges and universities around the country and has taught at conferences such as the Fine Arts Work Center in Provincetown, The Frost Place, Indiana University, Sarah Lawrence Summer Conference, and Third Coast. She serves on many publishing panels throughout each year at colleges, conferences and arts organizations, and is a regular guest editor at the Bread Loaf Writers Conference and the Colrain Manuscript Conference. She also teaches private weekly workshops. 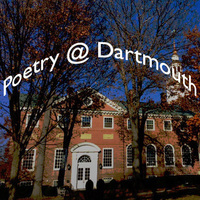 In 2010, she took over the directorship of the Frost Place Conference on Poetry in Franconia, NH. Rhodes is the director of Four Way Books, publishers of poetry and short fiction, located in New York City.